Right brain, meet left brain. Getting extraordinary results by aligning people with business strategy is what really matters. And it pays off on your bottom line. 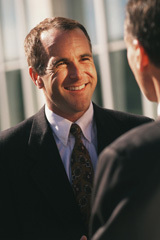 New Century Management's consultants impact the full spectrum of human capital management. Working with diverse organizations, we have a proven track record of helping our clients shape an integrated approach to managing their human resource solutions. Our strength lies in our ability to become your strategic partner. We offer innovation, flexibility, convenience and cost controls in providing you with outstanding human resources (HR) services and expertise. New Century Management can help your organization determine its priorities, action steps and an implementation plan for all your human resource needs.